Now that the Nokia Lumia 925 Catwalk is official, it’s time for the EOS phone to come. DAVDesigner from Deviantart had an idea of what the device may look like, so he imagined the Nokia Lumia 960 “Catwalk”, although that codename has already been revealed. 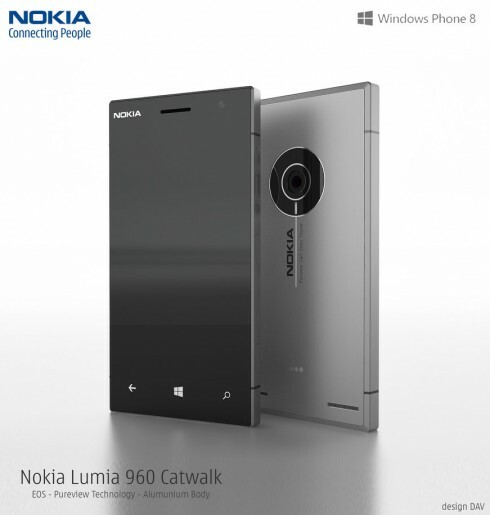 Anyway, this is probably the Nokia EOS phone that we’re expecting in the following weeks. The device seems to have those side identations like on the iPhone, probably for the sake of the antenna. 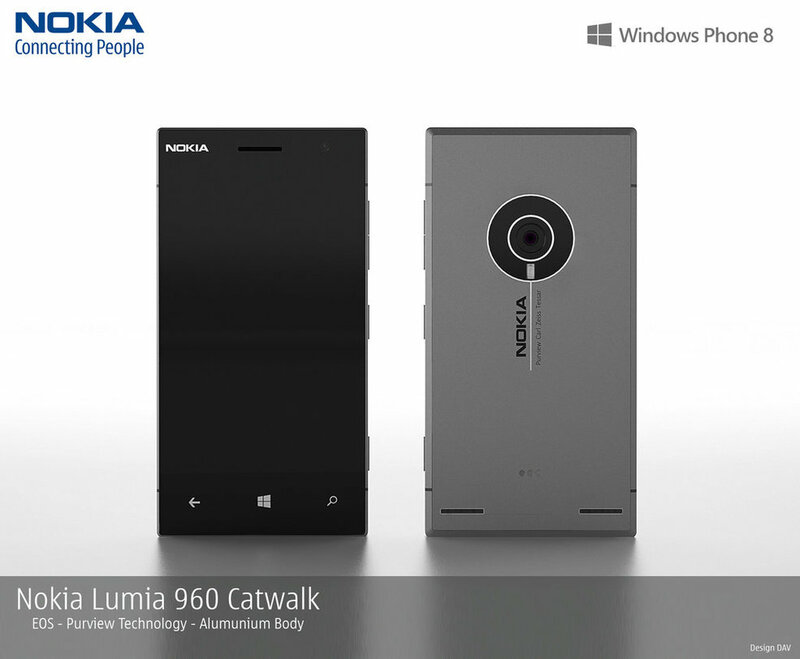 This Nokia concept uses an aluminum body, a thin one, with dual speakers at the back. We’ve got a potent Pureview camera at the back with Carl Zeiss Tessar technology and Pureview technology.